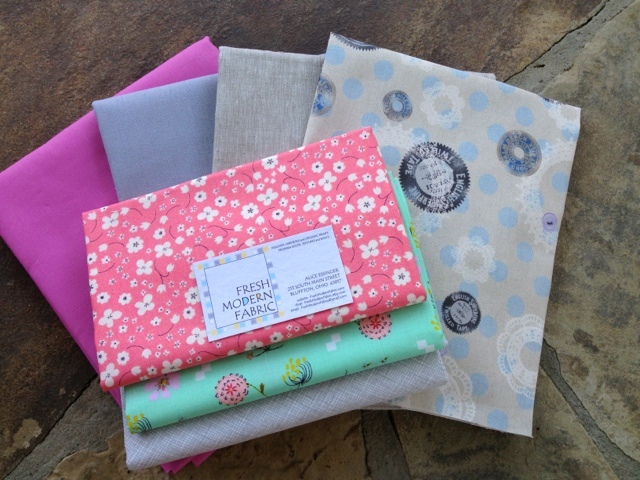 Just got these fabric goodies from Fresh Modern Fabrics! Great place to find linens! Pictured here in the back row, Robert Kaufman linen blend (grey, flax, and bella) and Vintage Art Store Japanese import. Then posey and Kaufman grey crosshatch on top.